The last two weeks have been crazy. Work has been wholly overwhelming of late. Then the family went on vacation. Taking time away from them to work on the website seemed criminal. Hopefully over the next few days all things UofM-related can get put back on track. 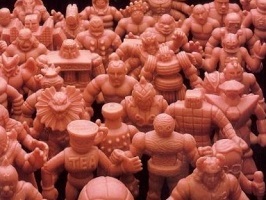 The worst part, I have so much M.U.S.C.L.E.-related stuff to share! This entry was posted on Monday, July 30th, 2012 and is filed under UofM News. You can follow any responses to this entry through RSS 2.0. You can skip to the end and leave a response. Pinging is currently not allowed.